It was always my goal to get to all 30 ballparks in one summer. And while I wasn’t able to do that in 2013, I did get to 10 of them. 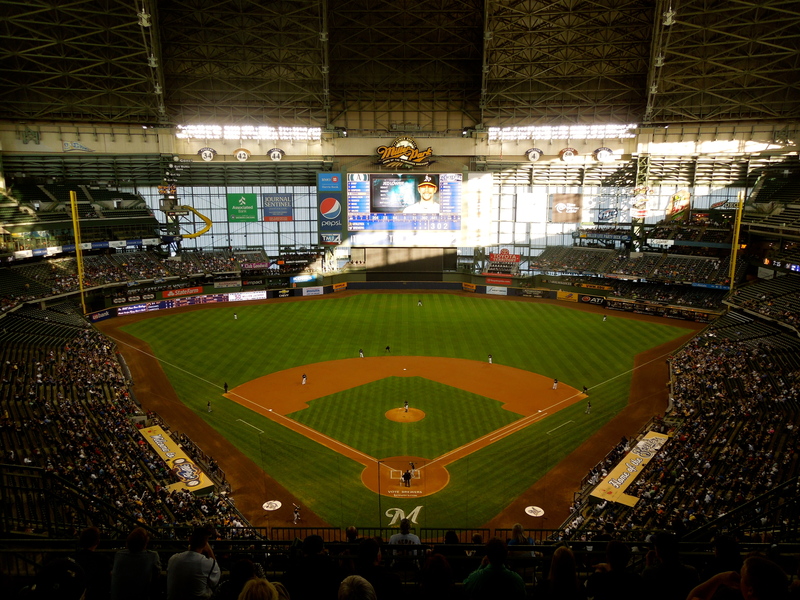 We tailgated before the game, which was great, but for some reason the roof was closed on a beautiful night in Milwaukee. I don’t think I have ever been around so many drunk fans at a baseball game. It was crazy! People were slurring and stumbling their way around the ballpark. The beer seemed to flow out in perpetuity. It was quite a sight. And that’s when I knew that the people of Milwaukee picked the perfect name for their park. 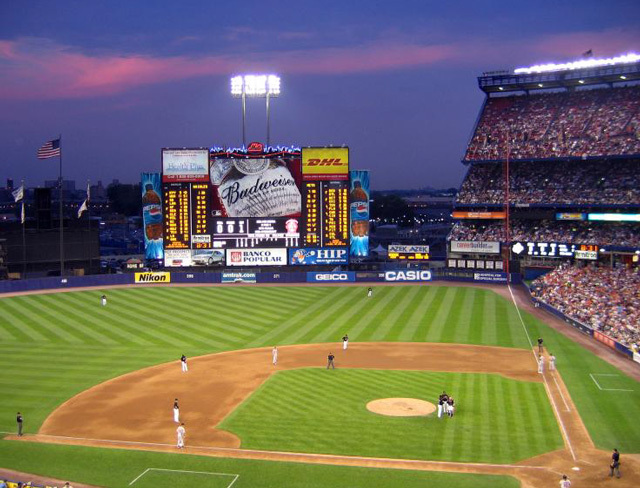 I only visited Shea Stadium twice – once in 2007 and once in 2008. Met fans knew the place was a dump, but it was their dump. I never really had any connection to the Stadium, but I do remember how massive the upper deck was. The Stadium sat close to 60,000 – none of the current stadiums come close to that. Reds @ Indians, 5/30/13. The lights look like toothbrushes. I realize that I never told my John Adams story. I mentioned this in the Cleveland vlog, but John Adams is the guy who goes to every single Indians game and bangs a bass drum in the left field bleachers (not to be confused with the other John Adams, our second President). 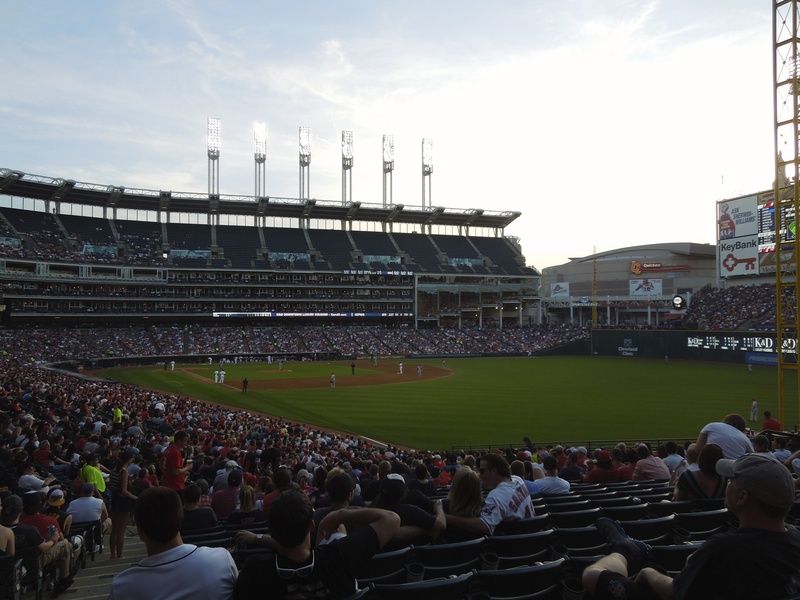 He’s been doing this since 1973, and he’s developed a bit of a cult following in Cleveland – there is a sign next to his seat that says ‘Indians #1 fan.’ He even has his own Wikipedia entry. He is also an incredibly nice guy, and when I went to talk with him, I expected to introduce myself, take a picture with him, and then be on my way. We ended up talking for about a half hour. At one point I asked him how many games he’s missed in the last 40 years. Without hesitation, he said “38.” There was a tone of sadness in his voice, as if the number was 38 higher than it should be. 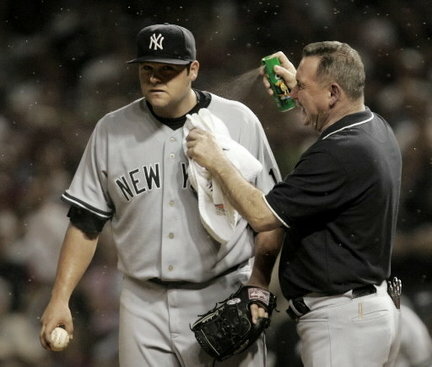 When I mentioned my heartbreak after the Yankees lost to the Indians in the 2007 ALDS, he brought up the midges. “Yeah, we trained them,” he said. People forget, but the 1990’s Indians had one of the most dominant runs of any baseball team. The offense was a powerhouse, with guys like Jim Thome, Manny Ramirez, Albert Belle, Kenny Lofton, Omar Vizquel, and Roberto Alomar. They never won a World Series with those guys, but they were about as good of a team as any. 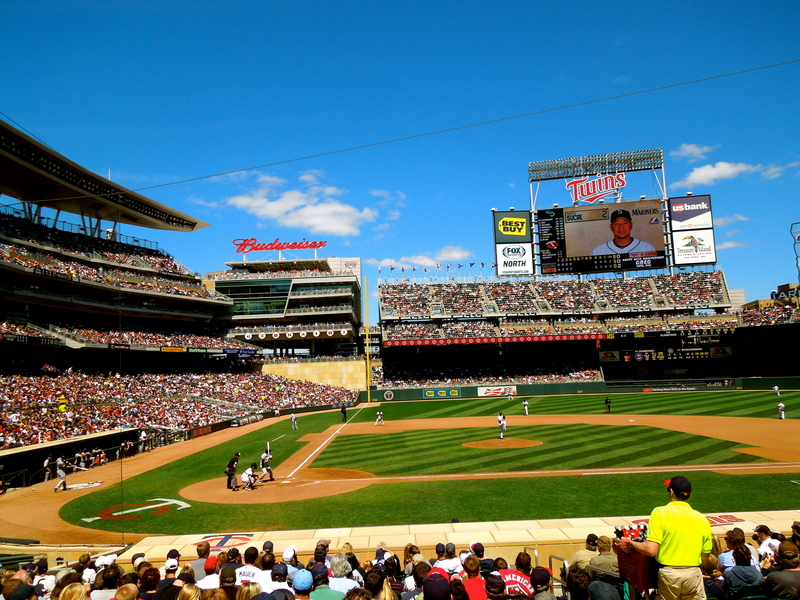 At one point, they sold out 455 consecutive home games from June 1995 to April 2001. Every. Single. Game. Progressive Field doesn’t sell out many games these days, but the Indians are making a late playoff push in 2013. I would love to see John Adams get the drum going again for playoff baseball. 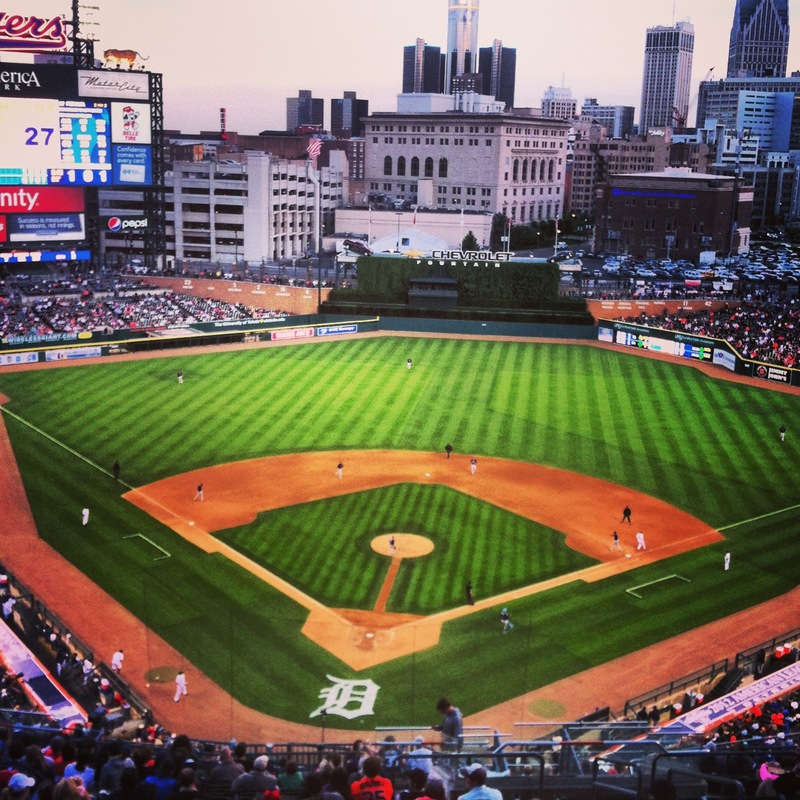 Comerica is huge – so huge, in fact, that they had to move the fences in a few years after it opened in 2000. I don’t recommend walking outside the park for too long. It’s a pretty terrible area. Our car was not stolen, and we considered it a small victory. I wrote about this in my Seattle post, but the ushers here were unbelievably welcoming and warm. It was unexpected, which says a lot about the state of customer service at major league ballparks these days. Sure, the park was empty, and the game was meaningless. 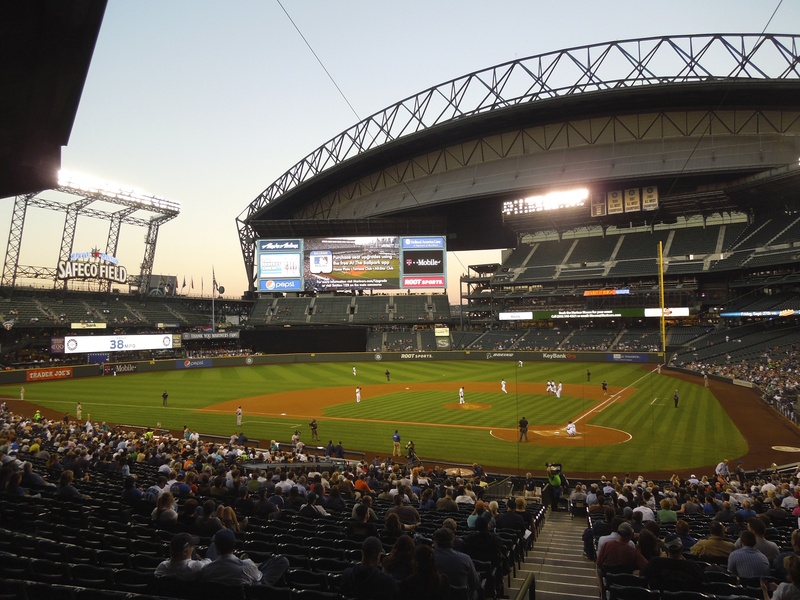 But Safeco is a beautiful park in a beautiful city. This might have been the biggest ballpark upgrade of all time – from the falling debris of RFK Stadium to the modern, open, beautiful view at Nationals Park. 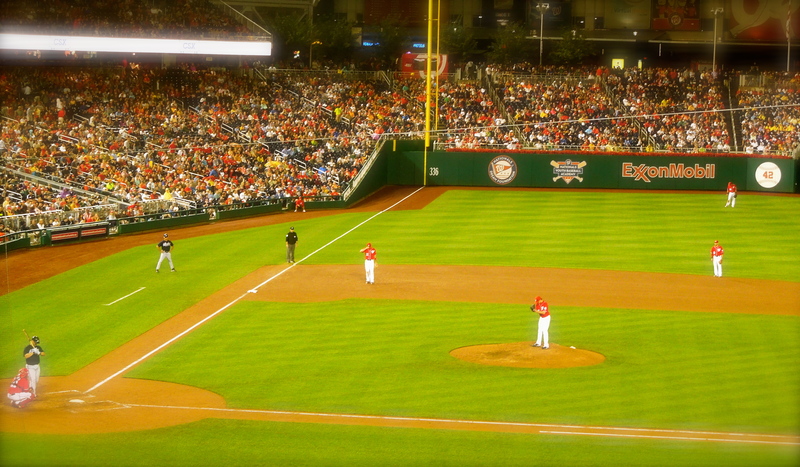 When I went there last summer, the Nats were in the middle of a 98-win, first-place season. It was great to see winning baseball in DC. It has certainly been hard to come by. You may remember from my Philadelphia vlog, but my seat was covered with bird poop when I went to sit down. Seriously, what are the odds that my seat has bird poop in a park that seats 40,000? * Thankfully, the ushers were quick to notice it and cleaned it up. I don’t envy them. *I guess, assuming it was the only one, the odds would be 1-in-40,000. Look, some people hate the new Stadium. And, I get it. The place is so much emptier than the old one, the prices are ridiculous, the employees are mean, and the place in general looks like a giant shopping mall more than a ballpark. 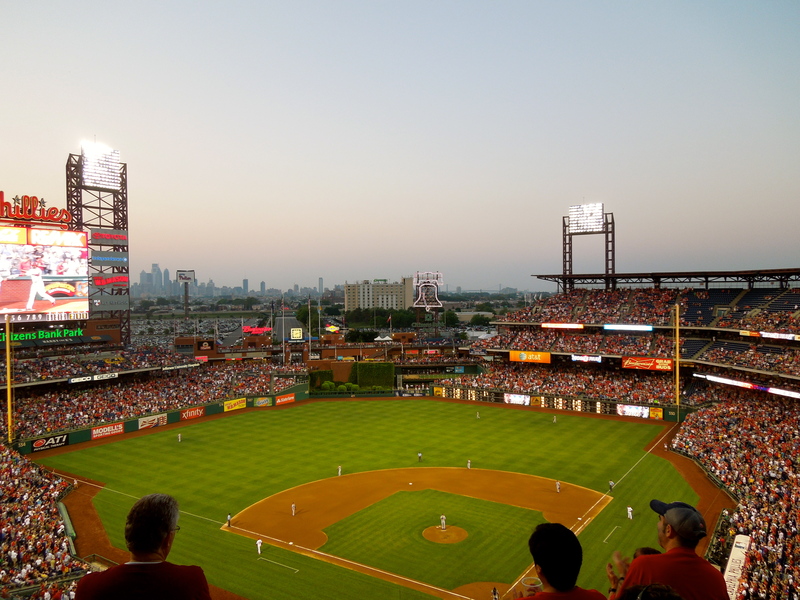 We all had high hopes for the new ballpark in 2009, and it has left many of us with a very empty feeling. But I don’t hate it. It has its downfalls, but I enjoy the wider concourses and the easy Metro North stop. And, you can usually find cheap tickets in the upper deck. Plus, I’ve had some good memories at this place in the five years since its opening, between walk-off hits, dominant pitching performances, and relaxing summer nights with friends. It’s not perfect, but like it or not, I will end up seeing far more games at this place than the old one. 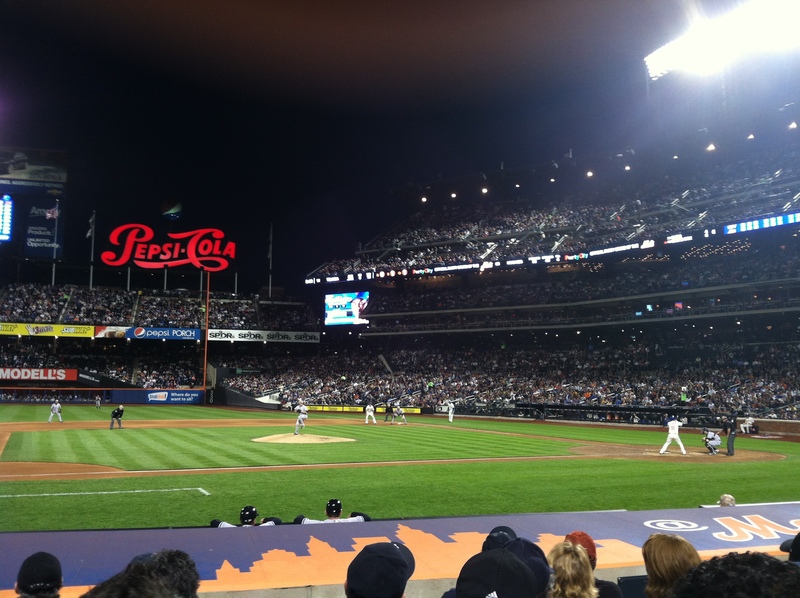 I have seen three games at Citi Field, and each one has been a very pleasant experience. I saw a David Wright walk-off hit against Jonathan Papelbon last summer. And, I was surprised with amazing seats in the two games I went to this summer – one was seven rows behind the third base dugout, and the other was six rows behind home plate. Citi Field feels more like a baseball park than Yankee Stadium does. It’s cozier and more compact – it doesn’t have that business, corporate feel. Then there’s Shake Shack. The line is unreasonably long, but it is always worth the wait – and the inevitable stomach pains that follow. Blue Jays @ Red Sox, 9/7/12. Thanks Instagram for this awesome filter. Fenway is historic. As a baseball fan, you can’t help but acknowledge that. 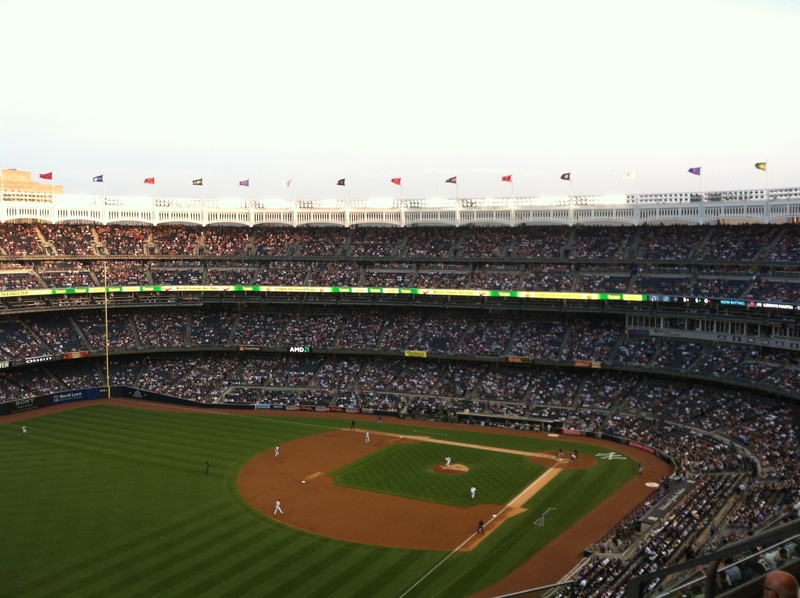 But some of my worst memories as a baseball fan happened in this park – blowing the 2004 ALCS, walk-off losses, and rabid anti-Yankee fans (though I think it’s much tamer now than it used to be – I can use my Yankees debit card without harassment). It’s hard not to notice the history in the place. It’s been around since 1912, and you feel every bit of that when you walk around. It’s one of the few relics left. 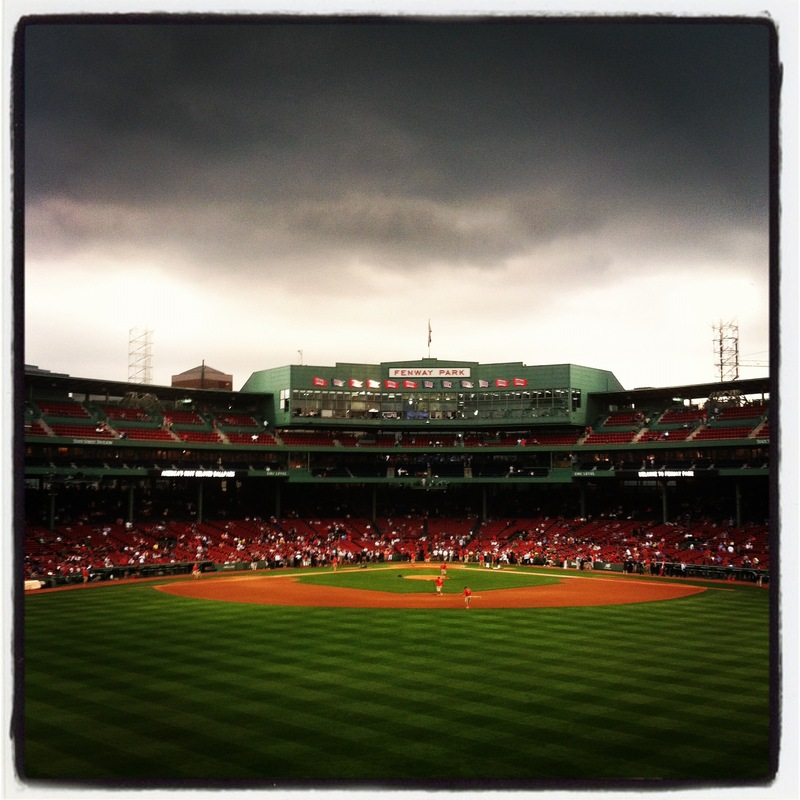 I just wish the Red Sox didn’t play there. 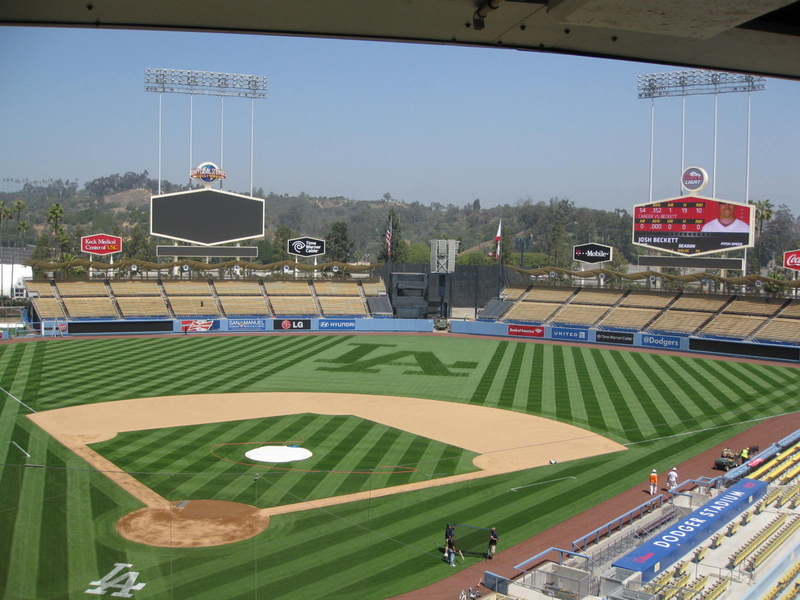 I visited Dodger Stadium in the summer of 2001. Part of the reason I liked it so much is because of how blue it is. Blue is my favorite color and one of the few colors I see clearly (thanks, colorblindness). Mark Zuckerberg is the same, which is why Facebook is so blue. Eric Gagne started (this was the year before he became their closer), Sammy Sosa hit a game-tying home run in the ninth inning (one of his 64 that year), and Eric Karros hit a walk-off single in the bottom of the tenth inning. Unfortunately, I missed all of this because we left early. Yeah, it’s been 12 years, but I’m still not happy about it. It’s pretty much a fact that baseball is never more awesome than when you are 10 years old – so seeing a game-tying home run and a walk-off in an unfamiliar park would have been quite a highlight for my 10-year-old self. Man, the park is just beautiful. And the food is legendary. I’ll always cherish my porkchop on a stick from the Minnesota State Fair stand. 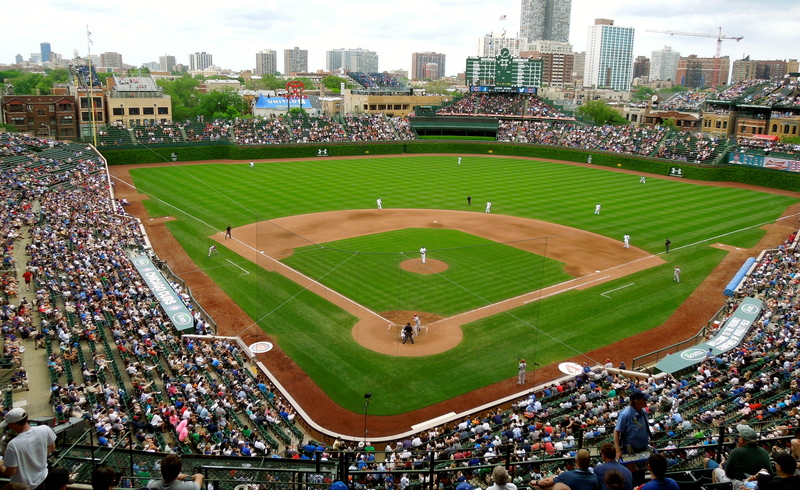 Wrigley Field is just a different park than everywhere else. Look at it – there are no overblown advertisements or big screen TV’s. It feels like you are watching baseball the way it is meant to be watched – with no distractions and no fancy technology that the kids are into these days (get off my lawn). All of the attention is put on the game. The park mandates it. The old Yankee Stadium will forever hold some of the best memories from my childhood. This is the park I grew up with, the park I saw my first games at, the park where I learned about the rules and the players and statistics and keeping score and everything else that makes up the sport. I only saw one playoff game here – Game 3 of the 2007 ALDS. 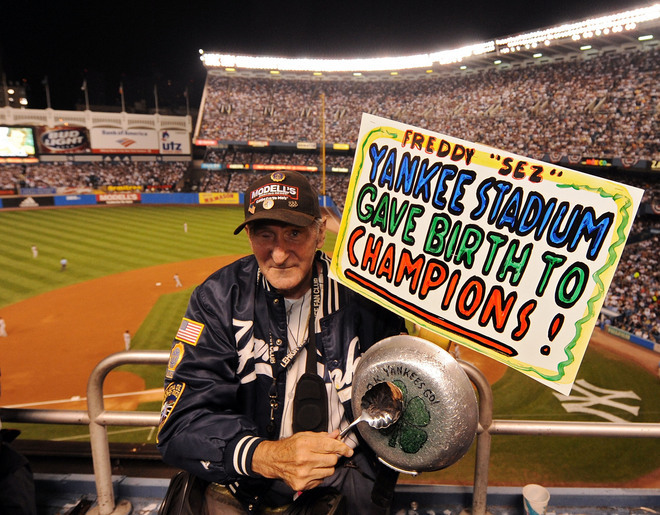 The Yankees won thanks to a big home run from Johnny Damon – it was the only game they won in the series. I missed some of the epic games from 1996-2001, but I got a little taste of what this Stadium was capable of – deafening loudness, vibrant electricity, and spine-tingling chills. The Stadium is gone now, and we’re left with just memories. But they’ll always be there.